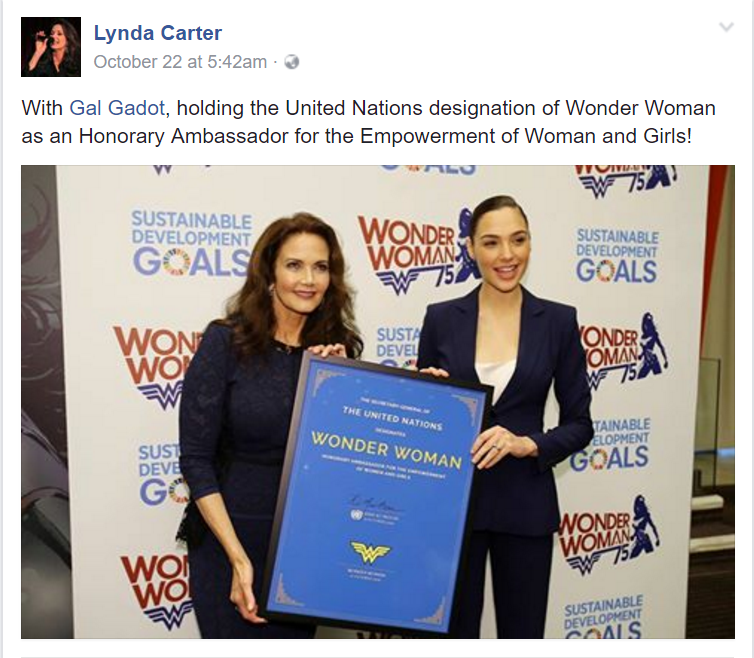 Is Wonder Woman Too Sexualised to be a UN Honorary Ambassador? As a popular and well-known comic character, she will appeal to girls and women. Her image will be used across UN social media platforms to advocate for empowerment of women, addressing gender-based violence and calling for greater participation of women in the public life. This will be achieved via the hashtag #WithWonderWoman and the movement is backed by DC Entertainment and Warner Brothers. Wonder Woman’s appointment came about after another man, former prime minister of Portugal Antonio Guterres, was chosen as the next secretary general. Despite many countries lobbying for a woman to be given the role, seven of the 13 candidates to replace Ban Ki-moon were women and none placed above third in the six informal polls. To combat the disappointment, Wonder Woman was appointed to a mixed response. At the ceremony in the Economic and Social Council chamber, UN staff members protested against this, both inside the building and outside. Those inside silently turned their backs to the stage, some with raised fists. The main reason: she is too sexualised. 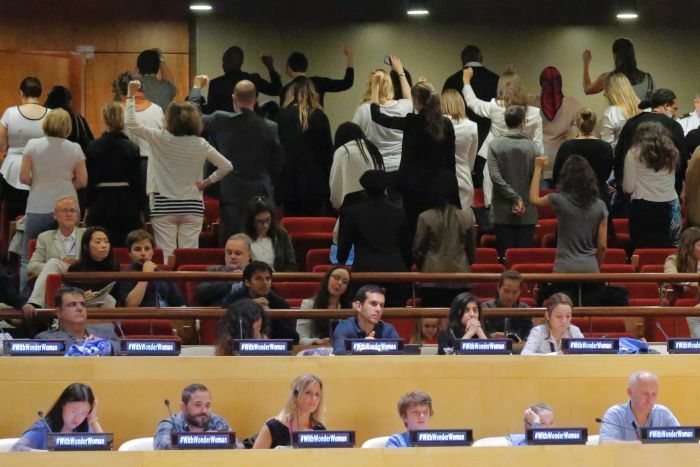 UN staff members turn their backs in silent protest. Source: ABC. About 100 protesters also gathered in the lobby with signs stating “I am not a mascot” and “Real women deserve a real ambassador”. 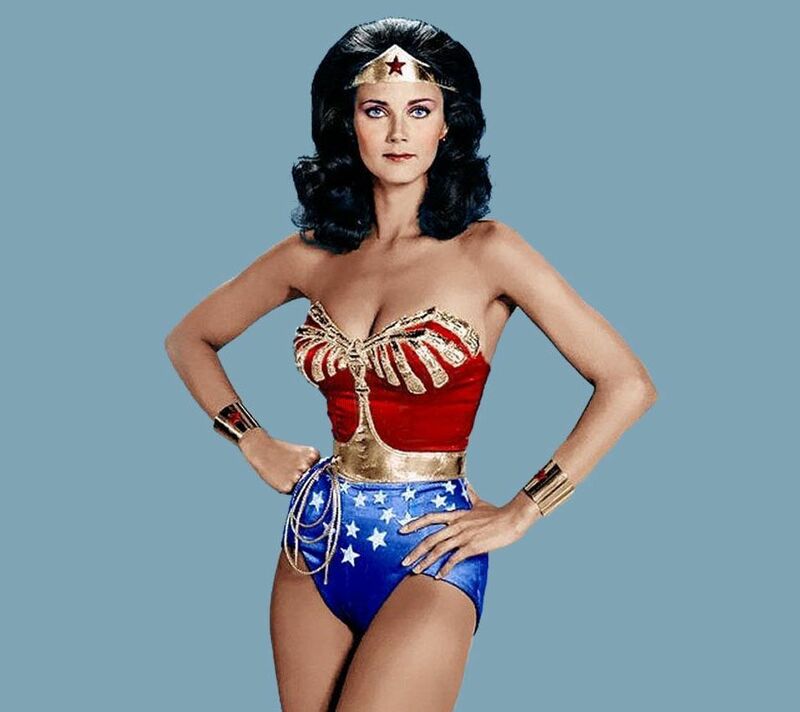 Rafi also argued that the choice of Wonder Woman was “tone-deaf” at a time when women are struggling against sexual and physical abuse. She suggested real women who could have been the face of gender equality: Nadia Murad, who is the public face of thousands of Yazidi women who are in sexual slavery, or Malala Yousafzai, who fought against the Taliban and demanded girls to receive education. As of Monday, the petition has almost 2400 signatures with a goal of 5000. Despite the protest, the ceremony continued. Cristina Gallach, UN under secretary general for communications and public information, attended on behalf of the secretary general Ban Ki-moon. She explained the choice of Wonder Woman. This is not the first time a fictional character has been chosen as an honorary ambassador and that the UN has partnered with a media company. Winnie the Pooh was the ambassador for International Day of Friendship in 2010. In March, partnering with Sony Entertainment, Red, the leader of the Angry Birds mobile game was appointed as an envoy for tackling climate change. © 2019 News King, Inc. All Rights Reserved.